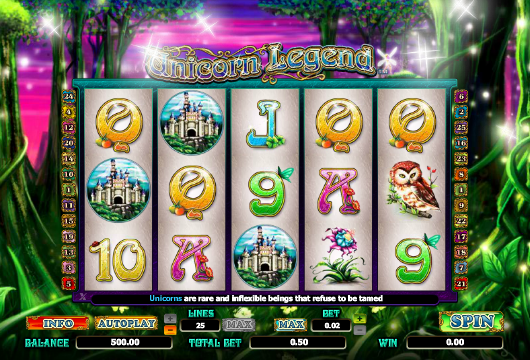 Ride the mystical unicorn into the enchanted forest and uncover all the free spins you have wished for. This 5 reel slot games online is a magical and upbeat journey into a land of fairy tale and wonder where you will travel in your quest to embrace the witchcraft and succeed in generating only the best and most valuable cash prizes for yourself. NextGen gaming is a game developer with over 20 years experience creating popular online slot games for all around the world. NextGen’s focus is to create games that deliver extraordinary entertainment and quality for their clients. The company attracts players through their unique games, entertain their players through the games they provide and retain their players from the stimulating and fun each game provides so they come back time and time again. This gaming developer lives up to its a name and is powering the future gaming industry. If you'd like to read about their games you can learn more. Read more about mobile casino and claim your free spins today! We all love the mythical creature Unicorns right? 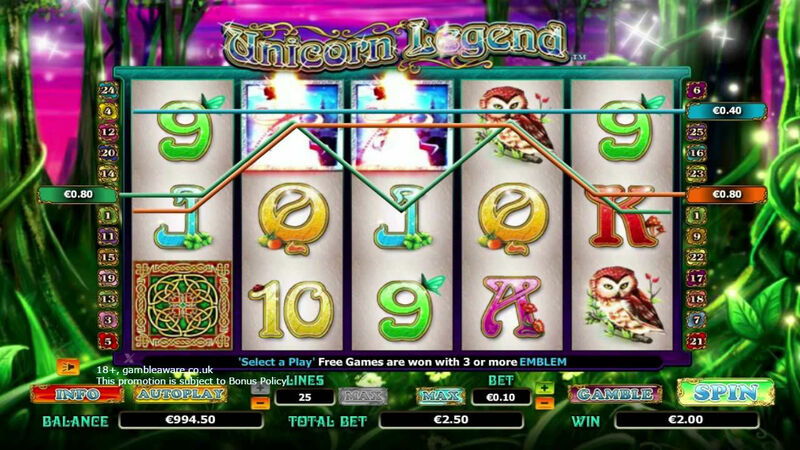 Well, now you can enjoy a whole game on unicorns in this 5-reel, 25 pay line slot game which can be played on most devices. Your quest takes place in the woods where you must hunt for unicorns and bag some cash along the way. Be on the lookout for letters and numbers as these are clues to help find the unicorns. Like any mythical theme expect to see fairytale things like castles and fairies. 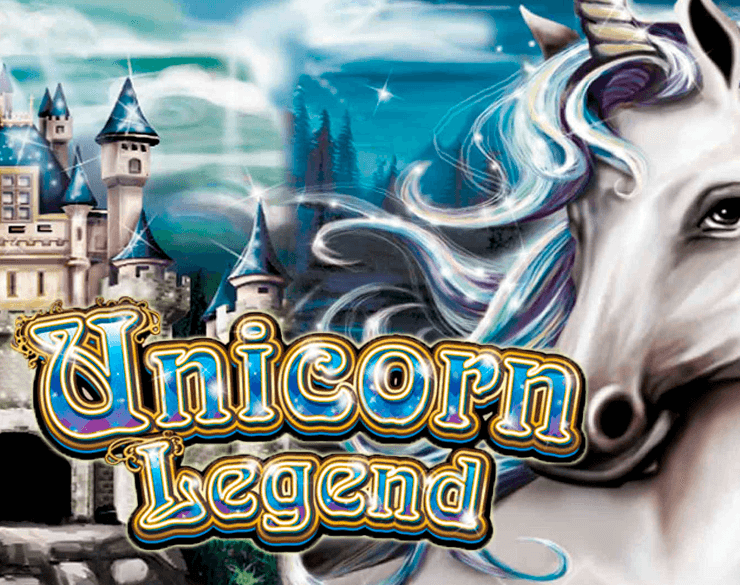 Unicorn Legend also comes with some great features such as bonus games like Wild Unicorns, Scattered Emblems and Free game feature. You will be rewarded up to 150 times worth your bet when you find 5 matching symbols and be rewarded 500 times worth your bet if you get 5 owl symbols or 5 flower symbols. Be on the lookout for castles that are hidden in the wood because finding these will reward you with 1,000 times worth your bet. However, fairies will offer a lot more and find 5 of these with award you with 2,000 times worth your bet. discover our new casino free spins today! Be sure to keep your eyes peeled for the Scattered Emblems. You can be rewarded with 2 and 200 times worth your bet if you can find between 2 and 5 of these. You will enter the Free Games Feature if you get 3 of the Scattered Emblems. In the Free Games Feature, you can choose from a range of free games. The aim of the game is to find the rare and mythical unicorn and are most likely to be found on reels 2, 3 and 4. The unicorns will substitute the other symbols in the game apart from the scattered emblems. Find the unicorns and you’re onto a winner. See our Easy slot games page for our full list of games.